Gun reform is the most important issue for LGBTQ Americans in this election year, according to a new poll that’s the first comprehensive look at the views of the LGBTQ community on the issues of guns and gun reform. Among its findings, the survey reveals that LGBTQ Americans overwhelmingly support commonsense gun safety laws, such as expanding universal background checks, banning assault weapons, and banning large capacity magazines and that their views will impact their vote this November. 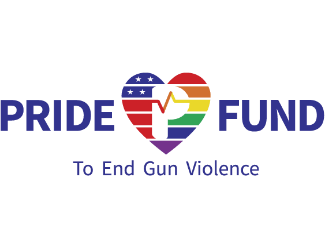 Pride Fund to End Gun Violence is a political action committee that operates at the intersection of commonsense gun reform and LGBTQ equality to ensure that the best elected officials are at the table protecting all Americans. As the nation’s only LGBTQ political organization solely focused on gun violence prevention, Pride Fund is uniquely positioned to appeal directly to a segment of America that has largely been ignored in the gun violence prevention movement. Pride Fund has raised the profile of this important issue within the LGBTQ community due to its extensive outreach, education and engagement in the gay community. Within its first two years, Pride Fund has grown to over 80,000 committed supporters who advocate and mobilize to elect candidates who support commonsense gun reform and LGBTQ equality.